Who, if anyone, was the champion going in is not stated. Defeated Duncan C. Ross also on April 26. Also wins a wrestling tournament that closed on June 12 in Boston which is said to be for the Mixed Championship Medal. D.C. Ross is listed as the World Champion Athlete. First Prize: H.M. Dufur won the World Mixed Championship Medal and $500. Second Prize: G.W. Flagg won $300. Third Prize: Patrick O'Donnell won $150. Fourth Prize: W.A. Burbank won $50. The rules to the tournament are each man must face off three times, once in Collar & Elbow, once in Catch-as-Catch-Can and once in Side-Hold. The man with the most falls will win the tournament. Ross is listed as the Mixed Champion. Dufur is listed as the Collar & Elbow Champion. More matches took place only the above were listed though. "Dufur won three, lost one. Ross won five, lost one. Flagg won three, lost three. Thompson won three, lost three. Gallagher won two, lost three. Kearns won none, lost six." Possibly more matches took place than were listed. Dufur protested his loss to Thompson and resigned from the tournament due to it. Flagg locked a stranglehold on Gallagher and demanded he quit, Gallagher did as he was told, the referee refused to accept it and thus Flagg quit the tournament. Ross won four falls, doesn't appear to have lost any. 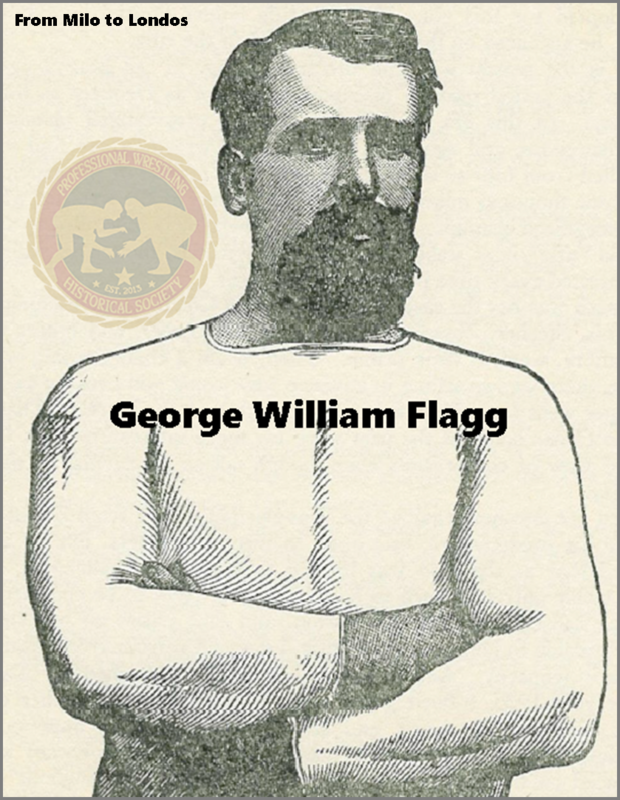 Flagg won two falls, lost at least two. Dufur won one fall, lost at least three. Kearns won no falls, lost at least one. Thompson won at least two, doesn't appear to have lost any. Gallagher doesn't appear to have won any, lost at least two. Ross won nine, lost at least one. Thompson won at least five, lost at least three. Galagher won at least two, lost at least five. Kearns won no falls, lost at least seven. Flagg won five, lost at least six. Dufur won four, lost at least four. Thompson came in second place. McLaughlin is listed as the Detroit Champion.